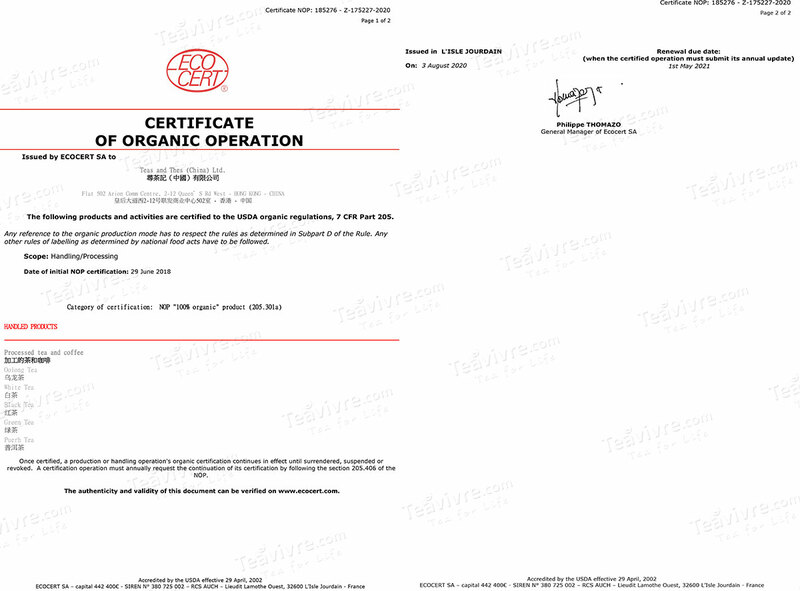 TEAS AND THES (CHINA) LTD. has awarded USDA and EC Certified Organic in June, 2018. Yunnan is a very important tea producing area in China, Dian Hong black tea and Pu’erh tea are all come from here. This time, the destination of our tea trip is the hometown of Dian Hong black tea—Fengqing County, Lincang. Our Teasandthes is in China Xiamen International Tea Industry Fair 2015 and brings the information and photos from the China Xiamen International Tea Industry Fair 2015. In July, Angel and Wenny Ren once again set foot on a journey to search and taste teas. This time, the destination is the Tongmu Village, Wuyi Mountain, Fujian Province. On March 24, 2014, Chris and Angel start their journey to Lin’an again. A number of beautiful tea gardens locate in Taiwan, which produce the renowned and distinctive High Mountain Oolong tea. At the time summer is leaving while cool autumn is coming, TeasandThes welcomes our new Taiwan High Mountain Oolong Teas.